To be sure, I had three lessons with an instructor from a motoring school in the test centre area. He was very good at his job and explained exactly how I should ‘act’ during the test. I drove all over the area with him sitting on the passenger seat and he was all the time telling me what I did right and what I did wrong which helped a lot. When we arrived back at the test centre, as we walked to his desk he was all smiles and joking. He gave me the good news and asked how long I’ve been driving and I answered, nearly 30 years, then he asked if it was my first test and I said it was the 4th, he smiled again. Now that the saga is finished I can say that after 28 years as a driver + 629.97 EURO I have a full Irish Driving licence. @Daniel thanks for your visit and your comment. I think the best thing to do is to pay an instructor, make sure he or she is RSA approved driving instructor(ADI). 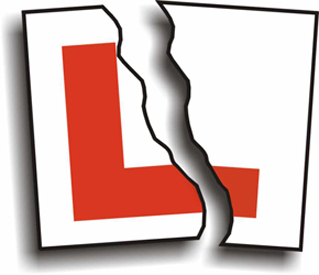 Choose somebody from a motoring school in the test area, have at least 3 lessons and learn the test routes, this is very important. If I was you I wouldn’t give up if I failed, you know you can drive, it’s just matter of acting and get it done. Today I took my first test and failed. I was upset with the situation until I came across your post. I felt so identified with everything you described on your first post. I too consider myself an experienced driver. I too first learned to drive very young, 13 years old. And I’ve been driving with a full license since 1999. Never have had any driving incidents or accidents. I’m also not from Ireland, I’m from Costa Rica. Been from a “weird” country my Costa Rican license is no good, and there’s no process for people in my situation. I have to do the theory test (which is fair enough), get a learner permit and hold on to it for 6 months, which to me is a bit ridiculous, and then take the test. It appears that failing the first test is the norm, and I really don’t want to go into details as of why this is. I think I’ll be forced to pay an instructor to be thought all the tricks. After that I’ll take the test once more, if I fail it again I won’t persevere with this nonsense. One more thing, in your expense summary you forgot to include how much more you had to pay for insurance, the cost for the paper learner permit and license and the cost of having to go hand in forms, etc.